As the summer season winds to a close, many students are gearing up to move into their college dorm rooms. This video from Meredith Grace provides essential tips and tricks for saving space in a dorm room. If your closet is crowded with clothing, consider doubling up your hangers and packing them in storage bags. A storage unit in Mountain View can also provide you with additional space for your college items. If your son or daughter is getting ready to move into the dorms, consider renting a student storage unit . 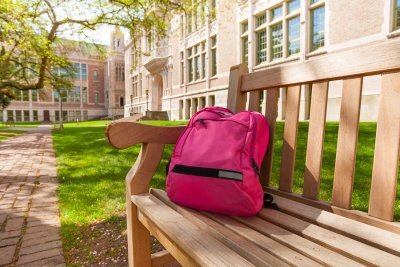 A storage unit rental will provide your college student with plenty of storage space throughout the school year and during the summer season. After the birth of your first child, you may be surprised at the sheer volume of stuff that is required for parenting a newborn. As your child gets older, many of your essential baby items will no longer need to be used. Rather than donating or tossing these items, however, you may want to place them in a storage unit near Palo Alto . A storage rental company that offers mobile storage can house your baby gear for future children or grandchildren. Read on for a look at what new parents should know about storing baby gear. When you decide to have another child, you can save time and money by reusing many of the baby clothes that were worn by your firstborn. 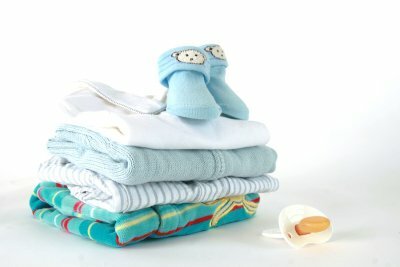 To prepare your baby clothes for storage, you will need to clean and fold them prior to packing. Ideally, you should wash baby clothing in unscented laundry detergent, as strongly scented cleaning products can attract moths and other unwanted pests. Prior to placing larger baby items, such as cribs and swings, into storage, you may want to determine whether they can be disassembled. Many baby items are specifically designed to easily break down for compact storage. If you are unable to disassemble a larger baby item, it is a good idea to cover it with a drop cloth once it has been moved into the storage unit. If you have invested in quality toys for your young children, you may want to consider storing these items for use by future generations of your family. Once your children have grown old enough to have families of their own, they may be delighted to discover that you have kept some of their favorite childhood playthings. Long term storage will allow you to keep these items around for many years, without having to take up valuable closet space in your home. Some people don’t even realize that they have a clutter problem until they handle it, and a storage unit in Mountain View can be of help. There are a few other ways you can keep your home neat, clean, and organized, and the steps aren’t difficult or expensive. Check out this video for 5 easy ways to reduce household clutter. Everything you own can contribute to clutter in one way or another, so think about what you need and what you don’t. Try to pay attention to what clothes you wear and what you don’t wear by turning the hangers backwards until you wear a given garment, and give the clothing you leave alone to someone else. Set aside a bin for important mail that you have to file, and recycle the rest. You should also consider what you use the most in your utensil drawer and organize its contents accordingly. 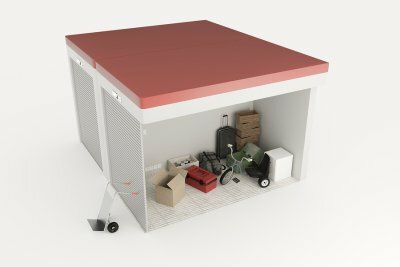 When you rent a storage unit , you will enjoy the peace of mind that comes from knowing that your items are securely stored in a safe space. Still, it can be helpful to have insurance coverage for stored items in the event of a flood, fire, or other unavoidable catastrophe. As you are reviewing your storage options in Mountain View, you may want to ask your insurance company to provide you with information about your personal property coverage and how it relates to items that are stored outside of your dwelling. Typically, homeowners’ insurance offers partial or full coverage for belongings that are placed in self storage. Here is an overview of what you need to know about personal property coverage. Personal property coverage is probably already included in your current homeowners’ insurance plan. If it has been a while since you read over your policy, now is a good time to review its details. A comprehensive homeowners’ insurance policy should cover your personal belongings, whether they are stored at your house or in a storage facility. Off-premise personal property coverage is defined as any coverage that extends to items that are stored in a storage unit, rather than in the home. Depending on the terms of your insurance policy, your plan may offer up to half of the coverage limit for your private home. Before you place your valuables in a storage unit, you will want to review any limits that may pertain to your off-premise storage. A storage unit is a safe and secure place to store your most valuable belongings. If you are planning on placing your valuables into storage, you may want to ask your insurance company about the possibility of extending your personal property coverage limit. Typically, your insurance company will be happy to work with you to create a coverage plan that provides adequate protection for your valuables. With your additional coverage in place, you will be ready to move your valuables into storage with total peace of mind. Downsizing can be a major transition for any member of your family. In this video, you will receive some tips that will help your loved one throughout the process of downsizing. To keep from getting overwhelmed, you will want to take the time to make a detailed inventory of all of the items that are currently in the home. Large or sentimental items that cannot be brought to the new space can be safely housed at a storage unit in Mountain View. With services from a storage rental company , you will have many different storage options available for your home. By relying on the services of a secure storage facility, you will be able to obtain the additional space that you will need throughout the downsizing process. While many individuals don’t think about making a plan for their storage unit until after they’ve already filled it, deciding in advance where you will place types of items can be incredibly useful. If you are using your unit for only boxed items, then creating a diagram of where different categories will be located can make finding what you need later on much simpler. If you are in the middle of a move or are a student that is storing belongings over break, it can be tempting to hurriedly pack your items without taking much time to organize them. Although you are probably working within a busy schedule, it can be beneficial to take a bit of extra time and pack like items with one another and to place small items into organized containers within your boxes. When it comes to keeping your storage unit organized long-term, one of the best measures that you can take is to leave at least one path through your stored belongings. When you fill the unit completely, you will end up having to continuously shift boxes around each time that you need to get to one of them. On the other hand, leaving a path makes it easier to see and reach the boxes, as well as keep them more organized. 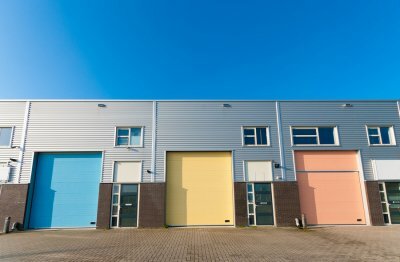 When you look at your storage options, it’s often a good idea to consider renting a storage unit in Palo Alto. This can help you crack down and get rid of the clutter that’s been building up in your apartment, and it can also make it easier for those who travel on a regular basis. Some people look to storage units when they move, whether the plan is to temporarily move to college or to move away from an area where friends and family will remain. Keep reading to see why people choose to rent storage facilities. It doesn’t matter if you live in a shed or a mansion; if you have enough belongings, you may find yourself dealing with clutter. 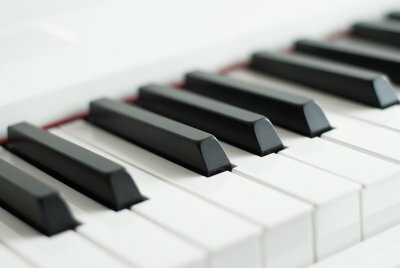 This inefficient use of space can be annoying and inconvenient, and for some people it can even induce anxiety. A local storage unit can be an excellent solution to this problem. You won’t have to throw away anything with exclusively sentimental value, but you will reap the benefits of a cleaner and more practical living space. You can even visit your storage unit and access your belongings any day of the week, so you should never feel like you are taking a risk. Some people live a lifestyle that is based around travel, and a storage unit may be just what this type of personality needs. You might travel for business, for pleasure, or to see your friends and family. No matter what keeps you on the road, it’s nice to have a home base for some of your belongings. You can use your storage unit rental to keep clothing, a toothbrush, or anything else you might need after your travels. Some people move to a new area with no intention of looking back, while others have reasons to regularly return. If you fall into the latter category, a storage unit can help you keep your belongings safe. Even if you are moving just a few hours away, a storage unit makes it easy to access anything you didn’t take with you. Sturdy boxes are essential for any move. As you are packing your belongings for placement in a storage unit near Palo Alto , you will want to make sure that your boxes are taped and secured properly. In this video, you will take a close look at the process of taping moving boxes. To save time and frustration as you are taping boxes, you can use a tape dispenser. The tape dispenser will ensure that the tape adheres to the seam of the box and creates a strong bond. A facility offering storage rental can help you locate all of the supplies you will need for moving your belongings into storage or across the country. With assistance from a company that specializes in storage units, you can complete your moving process quickly and easily. For answers to your questions about self storage, be sure to get in touch with a storage unit facility in your area. When you have an empty storage unit in front of you, it is common to think you have a lot of space. However, once you start filling it up, that extra space can quickly disappear. The best way to make use of all of your space is to carefully organize your storage unit near Mountain View. With the right organization tips, you can take better advantage of that extra space with a little room to spare. The biggest tip anyone can utilize when packing a storage unit is to plan ahead. Think about every item you are planning on storing and where it would fit best. Consider how many boxes you will have, along with the amount of furniture. Plan out a narrow path that will keep all of your important stored items accessible and easy to reach. Do not stack boxes and furniture so high that you will not be able to reach them when needed. Along with making a pathway, be aware of where you place your furniture and boxes in the storage unit. Plan out your unit so the lesser-used items are stored towards the back and out of the way. Make sure any containers you know will be in frequent use are stored towards the front of the unit. You can save a lot of room in your storage rental by disassembling as much furniture as possible. Take the legs off of tables and chairs, and dismantle bed frames. This action will make it easier to bundle furniture together and lean it to one side or corner of the unit. Just remember to keep all hardware in labeled containers near the furniture it accompanies. Some furniture may not be easily disassembled, so make use of it instead. For example, with large and hollow furniture, such as wardrobes or entertainment centers, you can store boxes or decorations in the open spaces. Linens or winter coats may be stored in dressers or chests. When you’re packing up boxes to put in your storage unit rental in Mountain View, you should know the correct way to make sturdy boxes. You’ve spent the time and money packing your self-storage unit, so you should spend the time taping your boxes correctly. When you watch this video, you can see that more goes into taping up the box than just slapping a piece of tape on it. You’ll end up using five individual lines of tape to secure your box for the storage unit rental. Each piece of tape supports the bottom of the box, so your personal possessions are protected. 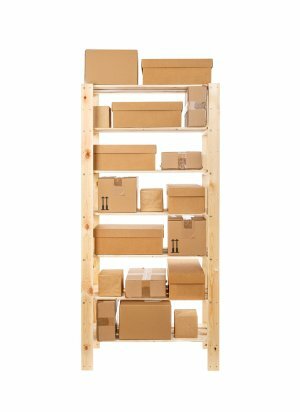 Once you’ve created a strong box for your personal items, don’t forget to stack them correctly in your self-storage unit. This will help you keep it organized when you need to return. Are Short-Term Storage Rentals Available? If you are preparing for a move or heading home from college for the summer, you could benefit from renting a storage unit . It doesn’t matter if you only need a high-quality storage unit in Mountain View for a month or two. Independence Storage would love to work with you, and we don’t place any restrictions on how long our customers have to rent a self-storage unit from us. 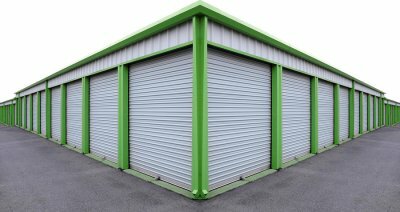 There are many advantages to renting a short-term self-storage unit. It can help you clear out your home when you’re trying to sell it. It can also make it easier for you to move back to your parents’ house after a semester at school. Regardless of the reason, we can help you obtain a storage unit from us, even if you only need it for a short amount of time. Whether you want it for a month, a year, or a decade, Independence Storage can provide you with the storage unit rental that you need today.